The Obama administration has committed few resources to enforce the executive actions on gun control it touted publicly last month. "Few concrete actions have been put in motion by law enforcement agencies to aggressively carry out the gun dealer initiative, despite the lofty expectations that Mr. Obama and top aides set," the Times reported. 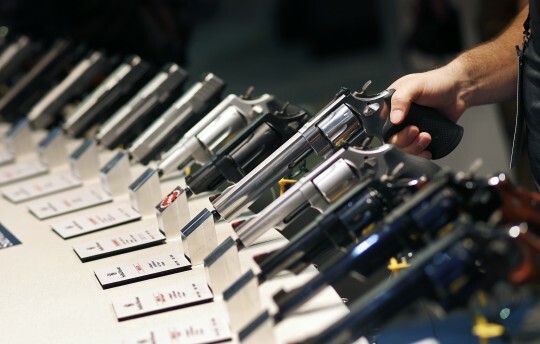 Signs of how little the President's move would have on the practice of buying and selling guns began to surface in the immediate aftermath of its announcement, when the ATF's written guidance was found to be in stark contrast with comments coming out of the White House. The firearms industry has seen no effects from the action. "Nothing, from what we can see, has changed," Mike Bazinet, a spokesman for the National Shooting Sports Foundation, told the Times. Gun control activists are unhappy with the current direction of enforcement efforts by are still giving the administration time to make improvements. Jonas Oransky, counsel for the Bloomberg-funded Everytown for Gun Safety, told the publication that the President's plan won't be accomplished "without extra energy behind it." However, he said, the group is "giving them some time to figure out how best to do this." The administration is defending the steps taken thus far, saying that they are doing everything within their power. "The actions the president announced last month represent the maximum the administration can do under the current law," Eric Schultz, deputy White House press secretary, told the paper. "Namely increasing mental health treatment and reporting, improving public safety, managing the future of gun safety technology and, of course, enhancing the background check system." This entry was posted in Issues and tagged 2nd Amendment, Barack Obama, Gun Control, Guns. Bookmark the permalink.